This weekend is filled with trunk shows! Friday I'll be selling my goods at Magpie on Main in Carbondale. 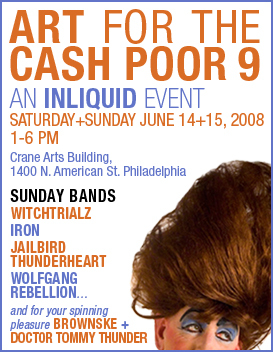 on Saturday i'll be playing a show at Crossroads Coffee House in Roxborough..
Sunday i'll be at the Crane building selling my shirts at Art for the Cash Poor.. everything everyone is selling is priced under $199. Afterwards i'll be posting way more things on etsy, i've really been slacking because I put my stuff in lots of boutiques including Orphelin and Art Star in Philadelphia, the Makery in Kentucky, Candy Plum in NY, and Oak in Boston!